Thank you for the trust in urs and me, thanks to felice for the done work. We will do our best! I think, we will have a great time! @ Strider, thanks for posting this. To all, let's just keep it civil. ...and I'll say the following only once, My stance on this is neutral and only in the best interest of the MEPD and not in favor of any vendor. Vader was the first costume I ever tried to replicate. 'Move Along' sandtrooper was the second. So it was EXTREMELY satisfying to finally have one put together that I was happy with after all this time. Still need to make a couple minor tweaks because I ran out of time trying to get him together for the show. The morning of the first day of Celebration, I woke up at 4am and weathered the entire suit. And since I had forgotten the paper towels in storage, I had to use hotel room tissues! True story. I want to give a shout of thanks for all the people who helped with one part or another. Strider for his awesome seed trays and karrimore frame, RS for their found item mushroom caps, karrimore pack straps, and fantastic Tunisia E-11 build, and Blaster for his MP40 hip pouch replica. Also thanks for all the support from all the guys here who put up with me while trying to bang this out, Woody, RS, Strider, Rolf looking at you guys. I hope you guys like it as much as I do. .
Well troops, here we are! Welcome to the final edition of the MEPD newsletter before Legion elections. What a year it has been for the MEPD. For the first time in our almost 18 years as a detachment, we now have 3 approved CRLs. Outstanding. We are moving forward as a detachment and growing. It has been amazing to see so many new faces on the forum. As Chief Media Officer for the MEPD I would like to thank everyone who has been reading these newsletters this year. I would like to thank my team, Airborne Trooper, Punisha and Love Monkey. I would also like to thank Dutchy for giving me the opportunity to represent our detachment though these newsletters, social media and on other forums. Thanks for an awesome year boss! Lets get into it shall we? In this issue: - A word from the Detachment Leader - 2018 Legion Elections - Police Officer and SWAT - Troop of the Month -Henselmonster - TD-11787 Who’d have guessed that where we are today would have been considered impossible a couple of years ago for the MEPD. We have been walking alone as TD’s on Tattooine but now have found brothers and hopefully sisters too on other planets like Jedha and Sullust. The MEPD family is rapidly expanding and that is a good thing. Moving forward to new horizons, sharing newly found discoveries and not to forget friendship and sister-/ brotherhood. I personally still can’t believe what we have accomplished this year as a detachment. The year went by so fast with changes, some minor some big.. Adjusting to a new situation is apparently also second nature for us TD’s as we kept the detachment running smoothly. Besides the accidental interruption we have had it all firm in our grasp. But back to the present. We did it brothers and sisters!!! We have successfully added 2 brand new CRL’s and there are more CRL’s on their way or close to completion. Thank you all for making this possible especially the people who have helped out first hand! 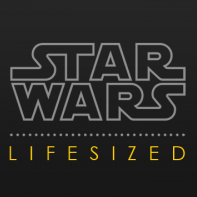 So start with your Battlefront Magmatrooper or Jedha Sandtrooper build today! The whole year their weren’t any major issues with the forum, besides the accidental downtime, but sadly the last couple of days we’ve had some interesting issues. If it weren’t for Happytrooperdotcom his efforts we’d still be experiencing them. I am proud to have such a skilled member in the Staff. Looking forward to 2018, first up will be the election and after that it’s back to keeping the machines running regardless of who’s in the driver seat. Nothing but love for you all and thanks for the last 12 months, it was an honor and I take my helmet off to salute you all! Your Detachment Leader, Dutchy/ Justus Hello Brothers and Sisters of the Sand. It is February already and that means it’s time for the Legion elections to begin. This means that 501st members will be able to vote for Legion Commanding Officer, Garrison or Outpost Commanding Officer, Commanding Officers of the various detachments in which members are active and have an approved costume, and Squad leaders if a member is part of a squad. Everyone knows exactly what to do right? Well….maybe not. Maybe you’re new, never looked at it before, or forgot and need a refresher? If you fall in one of these areas, don’t sweat it because we are here to help. Step 1- Check your detachment status. (Ideally, you would have done this step already. This has already been locked by Legion command for this year, but it never hurts to check and be ready for next year's voting.) Login to the 501st Legion forum. In the brown box on the left hand side, select “Membership DB.” Next select, “Your Profile Data.” Then scroll down to “Your Unit Affiliation.” Make sure that you see “(Approved)” next to any detachment for which you have a costume. If it says pending, or if the detachment isn’t listed, contact the detachment CO for more information. The detachment must say “Approved” for you to vote in the detachment elections. Remember that most detachments require that you post something on their respective forums at least once a year to remain an active member of that detachment. Step 2- Nominate or check into who is nominated for various positions. Remember that a person must be nominated and must accept the nomination to become a candidate. A person cannot dominate himself or herself. Whether you nominate someone or not, get those questions ready and submit them when the time is open, so you can see what these candidates are all about. The time line is below: Saturday Feb 3rd at 12:01 GMT Nominations Start Thursday Feb 8th at 12:01 GMT Nominee Q and A starts Tuesday Feb 13th at 12:01 GMT Candidate Closing statements start Wednesday Feb 14th at 12:01 GMT Voting starts Sunday Feb 18th at 11:59 GMT Voting ends All nominations and voting will happen here: http://www.501st.com/elections/ Step 3- Enjoy another trip around the suns with the 501st Legion and the greatest Detachment within the organization, MEPD. -Punisha Deployed/SWAT Overview As many of you are aware, here at MEPD we have two additional levels you can achieve - Police Officer (deployed) and SWAT. While neither is required, members who strive to achieve these additional levels make their armor resemble “screen accurate” troopers and thus look as if they stepped out of the movies and into real life. SWAT members take it one step further and emulate a specific trooper from the movie, down to the weathering patterns, pauldron color, backpack and pouch configuration, and chosen blaster. For those of you who are working on getting your 501st approval or for those who are thinking of making the jump, it’s definitely possible if you’re willing to put in the extra work and you can start while you work on your basic approval by adding some of the necessary requirements. Something to think about is if you decide to go for SWAT, which trooper will emulate? Which jumps out at you and ignites that fire inside of you? For those who are interested in applying, please check out some of the submission threads in the following forums: Police Officers - http://forum.mepd.net/index.php?/forum/12-mepd-police-officer-program/ SWAT - http://forum.mepd.net/index.php?/forum/44-mepd-swat-program/. Looking through these threads will show you what goes into a submission, what pictures you need to take, and some of the problems others have run into. If you do your homework, your submission should pass with flying colors. If you have specific questions, please reach out to one of our department armourers, who will guide you to whatever goal you’ve set for yourself. Here’s a list of our armourers: - @Punisha - @TD42115 - @Airborne Trooper - @LoveMonkey ----- With unquestioned loyalty, LoveMonkey, TD-18542 The MEPD Road to 500 Troopers, as a detachment, we currently have 318 deployed Police Officers. As a command staff, we’d like to issue a challenge to all of you who may be looking to achieve rank or who may be on the fence about putting in the extra work. We’ve set the following goal of 500 deployed Police Officers. As you can see, we are well on our way to achieving this goal but we still have a long way to go. As part of our goal, we’d like to take a moment and recognize those troopers that have achieved either Police Officer or SWAT status since the last newsletter. Congratulations to the following members: Police Officers - Markus "tiny" Zeitvogel TD-10276 - jdelaney TD-10290 For those who have achieved their Police Officer status, please make sure to take advantage of the following swag: Deployed Officer Coin http://forum.mepd.net/index.php?/topic/13257-deployed-sandies-only-come-get-your-exclusive-deployed-police-officer-gold-coin/ Deployed Artwork http://forum.mepd.net/index.php?/topic/15310-po-swat-pics-for-artwork/ Deployed Certificate http://forum.mepd.net/index.php?/topic/11241-mepd-certificates/& I hope 2018 is treating you all well so far. It's been very cold here in New York and I tend to go in hibernation during the Winter. This edition's pick was chosen from Mos Espa Security Patrol's The Last Jedi troop on December 15th. Our new Detachment Officers Thomas and Urs are both members and continue to faithfully serve and represent the MEPD. It looks like they had a great time interacting with Star Wars fans and even had a chance to make a few laughs. Keep it up guys! Remember troopers, if you would like to be featured in the next newsletter, make sure you’re updating your troop logs! Explain the purpose of the troop, who attended, and any additional details you can! - Airborne Trooper • TD-82573 Instagram! I just stumbled across this shot I'd never seen before and thought I'd share it. I wish it were a bit larger though. As Juan said, we have reached consencus about the R1 sandtrooper and the Kyber patrol. They both will be added to the MEPD. I'm so excited right now!! Official announcement incoming! Easter is coming troops.... A holiday that we as sandtroopers don't especially like as we need to search for eggs. We can't even find 2 pesky droids for crying out loud ...LOL Besides that I'd really like to wish all of you a couple of wonderfull days with the family and loved ones!! Marching with my brothers and sisters in my first parade. @ Richmond Virginia Dominion Christmas parade. The Empire always has the best floats. Crowed interaction was outstanding, so many high fives and smiles. It was a 3 mile march however, it went by quick. Welcome everyone to the August/September issue of the MEPD newsletter! Things have been moving along here at the MEPD. So many new SWAT members approved or under review. Its always so great to see. Also we have relaunched our Instagram account. If you would like a photo of yours feature send them to @henselmonster or DM on instagram! 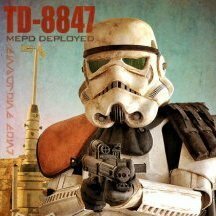 http://instagram.com/mepd501st In this issue: -A note from our Detachment Leader -An interview with one of our command staff -A feature on the Tunisian blasters used by the Sandtroopers -Troop of the month Summer, ah…. The time to lay back, relax and enjoy your time off. Not at the MEPD I tell ya!! We have experienced one of the busiest summers since a certain smuggler escaped from docking bay 94. Where to start….Behind the scenes the CS has been working hard on getting the CRL for the Special Edition Sandtrooper done. The current status is, the text is complete and we now only need good reference pictures for the CRL. Also we aren’t forgetting about the other CRL’s that need to be written but one CRL at a time. Next to this our design team has been working hard on a design for the Desert Foxes and we are close to finishing that, all with the help of the ladies of the Desert Foxes. Then we had a situation that we rather didn’t have. A recasting claim made by one of our members at the address of another member. We of the CS reacted swiftly and have done everything that was in our power to solve this in the best way possible. The only thing I can tell about it is that the 501st as an organization has created a resolution for cases like this. You all probably have read it on the boards but I will share it here again: The 501st Legion does not condone, support, or encourage re-casting. 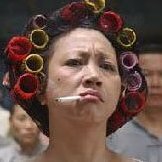 It is, however, outside of the scope of this club's mission, charter, authority, jurisdiction, and purview to consume our time and energies as a volunteer organization in efforts to prosecute those who, of their own volition, choose to engage in re-casting. But what about all the downtime I can hear you all say, well it seems that there are still some Jawa’s hidden somewhere that hack into our mainframe from time to time. That’s why I am looking for a trooper that is interested in becoming the webmaster for the MEPD. You all know the drill, when you are interested contact me! There is one thing that I would really like to have special attention for. Walt from Walt’s Trooper Factory is doing a raffle for a complete TD armor. It’s linked to a special charity event which Walt specifically only wanted TD’s for as we are the “police force” of the Empire. The charity event is for the families of policemen who gave their life during duty. Please do join in on the raffle when you are interested in a decked out armor from Walt and make this one count for the families and the MEPD. And now a word about our PO and SWAT program….I’m flabbergasted by the amount of requests that have been entered for PO and SWAT the last months. Some of you have already achieved PO/ SWAT status and earned their stripes. But there are also still some that are being reviewed as we speak, good luck troopers! Therefore I would really like to express my appreciation for all the hard work that you all have put into it to achieve this as did our Deployment Officers. I salute you, my brothers! For now, keep up all the good vibes and positive flow that is currently running through the MEPD! -Dutchy I got a chance to ask a few questions to our MEPD Specialist/Ambassador @SCRIBBLER! Thanks so much for taking the time to let the detachment get to know you a little better: 1. When did you first join the MEPD, and why a Sandtrooper? I entered the 'Precinct' back in 2011. Other than always liking the battle worn look of a TD as opposed to a TK, I just got tired of polishing the 'clean' TK armor. LOL Seriously though, I just loved that the Sandtroopers had the appearance of being on the frontlines, the whole setup: Pauldron, Backpack and BFG just did it for me! Joining the MEPD pretty much insured that I would get my gear as close to screen accurate as possible thanks to all the knowledge of the TD community here! 2. What is your favorite part of the MEPD? Armor building and helping others with their projects as well. 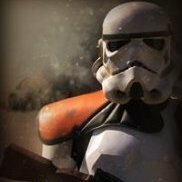 Interacting with all the members, helping in any way I can and just suiting up and representing this bad-a$$ community of troopers this side of Coruscant! The tips and secrets that we use to complete our projects is simply outstanding! =) 3. Do you have any meaningful troops or interactions as a member of the MEPD? Since 2014, our Sandtrooper Patrol (Route 66 Patrol) has been doing 5, 8 and 10 mile charity hikes through the trails at Griffith Park in the Hollywood Hills (Los Angeles) and this year along the sands and shoreline at Venice Beach. We've been doing these voluntary troops to raise money for Children's Hospital L.A.. Just putting smiles on the faces of Star Wars fans (Young & Old) that come to support and cheer us on i makes it all worthwhile! It's a brutal troop. We go full armor and gear. There is an average of 5-6 of us TDs plus other 501st costumed characters that have been joining us every year since we did it alone back in 2014. This year we had approx. 15 total SW armor marching and hiking. All the blood (literally) sweat and tears is all worth it. This right here is why I joined the 501st in the first place. Helping Charities. =) 4. Where would you like to see the MEPD go this next year? I'd like to see more Legion members join our ranks, more SWAT Activations and hopefully discover new canon details to add to our armor and gear to help keep us all as accurate looking as possible! I've been exclusively trooping as a TD for nearly 7 years and I have no regrets. I've loved every moment of my time as a Sandy. I also have nothing but confidence in the direction we are currently taking in regards to continuing to keep this detachment up there as one of the best ones in the 501st! 5. Enough about life in plastic, what do you do in your real life? I am a freelance Visual Effects / Concept Artist and a Golf Assistant. I also like to surf! 6. What is something about you that might surprise other members? I'm a BIG Beatles fan and I like to collect the same make and model of Guitars & Drums that the Fab Four used during their run when they were together. I also used to dance on Soul Train (TV Show) back in the late 80's and early 90's. Definitely had the Kid N Play hairdo as well! lol Lastly, I assisted with the design and construction of the Fountain / Lake water feature effects at the Bellagio Hotel / Casino and The Volcano effects upgrade at The Mirage Hotel / Casino in Las Vegas back in the mid 90's. 7. And last but not least, what would you say to someone who is looking to join the ranks of the MEPD? Join our ranks! Get your armor and gear ready, come on in and let's get dirty! It's ALL worth it! =) Thanks so much Scribbler for your time! We hope to continue these interviews with the rest of the command staff throughout the year! - Henselmonster • TD-11787 One of the most recognizable Star Wars costume props is the “Stormtrooper” blaster. While most Stormtroopers carried the e-11 blaster, the Sandtroopers had some larger options and even a special e-11. This month we will focus on the weapons used mainly in Tunisia during on location filming. Our focus will be the Bapty e-11 and the DLT-19. First up is the e-11, the most recognizable of Imperial Weapons. The e-11 is based on the Sterling Arms MK4/L2A3 sub-machine gun used by the British during WW2. These guns were modified to include 6 “T-track” grips around the barrel, similar to those found on Luke’s lightsaber, a Hengstler Corp industrial counter on the side, 2 small cylinders on the magazine well, and a 1942 model M38 Azimuth scope with a custom rail. With these modifications, the Sterling became the e-11. Sandtrooper e-11’s, or the Bapty e-11, were a little different. Since shipping and transporting weapons out of the U.K. and into Tunisia was so difficult and the need for firearms experts on set with working guns was costly and time consuming, the production group decided to make a “non-gun” version for use in location shooting like Tunisia. Hence the Bapty e-11. The Bapty Tunisian e-11 had an added solid cast billet rear of the gun with visible seams and molding lines, and rear site was solid, there is no actual trigger, a custom aluminum trigger guard and grip were added, and there was some added rivets and custom cut magazine. This created a unique look for the TD’s e-11. While these blasters do show up elsewhere in a couple of film scenes and in quite a few of the cast production photos, it is most attributed to the Sandtrooper. 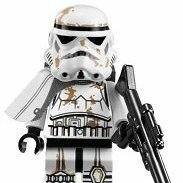 Our next Sandtrooper blaster which was modified to use on location in Tunisia is the DLT-19. This blaster was built from the German Maschinengewehr 34 or MG34. Bapty & Co again had to modify this weapon for ease of shipping and on-set use. Resin or Wood was believed to replace some or all of the barrel parts. They also added a conical disk on the handle, more of those “T-tracks” around the barrel shroud, and a metal box covering the ejection port of the original weapon. 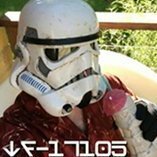 - Punisha On this edition of Troop of the Month, we are highlighting DarthStevius/TD-18969’s troop down under at the Sunshine Theatre’s Kids Flix event for underprivileged and sick kids on August 20th. The best thing about being a dirty and plastic spaceman is making a kid forget their problems even for a moment and creating a smile. Thank you for sharing your troop with us and you can’t beat trooping in a nice, air conditioned movie theater! Remember troops, if you would like to be featured on the next newsletter, make sure you’re sharing and updating your troop logs! Explain the troop, who attended, and any additional details you can! - Airborne Trooper • TD-82573 Instagram! No problem. Believe me. We would love to give you guys everything you ask for but unfortunately, we just have to settle for most of it.